A person who has lived a sinful life sometimes question this: Will Jesus forgive me for my sins? We often question how God can forgive us, Sinners. We all know that God is a righteous, holy, sinless Father. We know that sin cannot enter Heaven. The Bible has many references to what God calls: sin. The Ten Commandments alone tells us not to steal, kill, bear false witness, commit adultery.…. So a person who has committed many sins in their life may try to do things that are good to make up for their sins. They may give to the poor, witness to others, attend church, etc…. One thing that stands out to me most of all in the scripture is this: For God so loved the world, that he gave his only begotten Son, that whosoever believeth in him should not perish, but have everlasting life (John 3:16). So this tells me that a perfect God gave his son as a sacrifice on a cross, for the sins of the world. Why? We all know the terrible things the Lord Jesus went through in his life, even before he came to the cross. He sacrificed so much. He slept on the cold, hard ground. He missed many meals. He was ridiculed, mocked, spit upon. So why would God allow his son to go through all of this. Then, Jesus was nailed to a cross and hung up for the world to see. He was stripped of his garments. He couldn’t hardly breathe, while on the cross. Then, the Holy Father turned his eyes away from him. What torture! His heart had to be broken. So I ask again why? Then I heard a sermon about the love of God for mankind. Then I seen what God was showing me. It wasn’t anything that we could do, to earn forgiveness. The Bible says: 1 Peter 2:25-For ye were as sheep going astray. Jesus said, “How think ye? if a man have an hundred sheep, and one of them be gone astray, doth he not leave the ninety and nine, and goeth into the mountains, and seeketh that which is gone astray?” (Matthew 18:12). See God cares about each and every person. He will come after us when we go astray. Without God, we are as lost sheep, having no shepherd to lead us. We are often blinded by this life; whether it is riches that blind us or other life circumstances. We cannot live a life that is sinless. Only Jesus could do that. No matter how great a person you think you are, you cannot live your life, sinless. You may read your Bible daily, go to church, listen to sermons daily, but you are still a sinful creature, without the sacrifice of Jesus on the cross. Our Heavenly Father knew that without the blood of Jesus as our atonement on the cross, we had NO HOPE. It would take a lamb without blemish to cover our sins. Jesus became that Lamb without blemish; without sin in his mortal body. Nothing that we can do or say can earn us, Salvation. We cannot work our way to Heaven. it is only by the grace and gift of God that any man may enter Heaven. Ephesians 2:4-9 says: But God, who is rich in mercy, for his great love wherewith he loved us, Even when we were dead in sins, hath quickened us together with Christ, (by grace ye are saved;) And hath raised us up together, and made us sit together in heavenly places in Christ Jesus: That in the ages to come he might shew the exceeding riches of his grace in his kindness toward us through Christ Jesus. For by grace are ye saved through faith; and that not of yourselves: it is the gift of God: Not of works, lest any man should boast. Doing great and mighty works brings out pride. God hates pride. Realize that nothing you can do in yourself can help you get to Heaven. It is only by the true repentance and acceptance of Jesus Christ into your heart, that will give you that place in God’s family. 2 Corinthians 6:18 says: And will be a Father unto you, and ye shall be my sons and daughters, saith the Lord Almighty. Are you ready to become a son of the king. Are you ready to accept Jesus into your Heart? 1. pray on bended knee and ask Jesus to forgive you for your sins. 2. Take time with Jesus. Pray to him and get to know the king. 3. Trust in his mercy and grace 4. Praise the Lord and thank him for what he has done for mankind at Calvary. 5. Find a Bible believing church to attend. 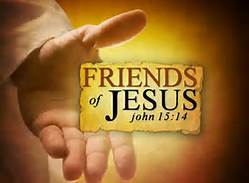 Fellowship with other believers will help you stay on that straight and narrow way. This entry was posted in Uncategorized and tagged bible, Calvary, cross, faith and repentance, falling from grace, forgiveness, Jesus, not of works that i have done, salvation, Son of God, trust, works. Bookmark the permalink.